An amazing start for your business starts with Logo. The most tough and interesting part of design process. Logo provides the best identity to your business and reflects your business in different platforms. Logo gives instantaneous recognition of your business and it also supports you build your identity in growing market. We always start with a pencil work. We are always been approaching with fresh ideas to symbolize individual brands. The logos’ are outstanding, accessible with unique colors to suit different needs. The logo we create incorporates your company vison and would let the user feel the importance of the business. 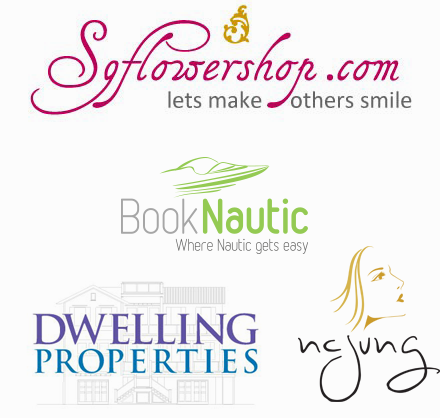 We are emerging talents in logo design in Singapore, India and all over the world. With our best affordable logo design we are sure we can provide the best unique designs your business needs. We don’t limit the design options rather provide unlimited revisions based on the requirements provided till you are completely satisfied. If you are not sure about the requirements or find difficulty in conveying your needs to us, no worries we would pass you the questionnaire, where in you can fill the answers for the questions. This would give us a rough draft of your thoughts and we would start designing the logo and pass you the concepts. You would get an idea of how you would like your logo by reviewing the concepts and we can have discussions to refine it further. Once you are satisfied with the logo, we would deliver the logo in different formats which you would be able to use in different mediums like websites, name boards, business cards, letter heads, envelopes, banners and other print materials. We offer all sorts of Logo Designs like Iconic Logo design, Typographic Logo Design, 3D Logo Design, Character Logo Design, Mascot Logo Design, Conceptual Logo Design, WordMark Logo Design, and Letterforms Logo Design.